Video of10 Ways to make the BlackBerry connect to the internet so you can surf and view pages. This explains how the Verizon Global E-mail connects. 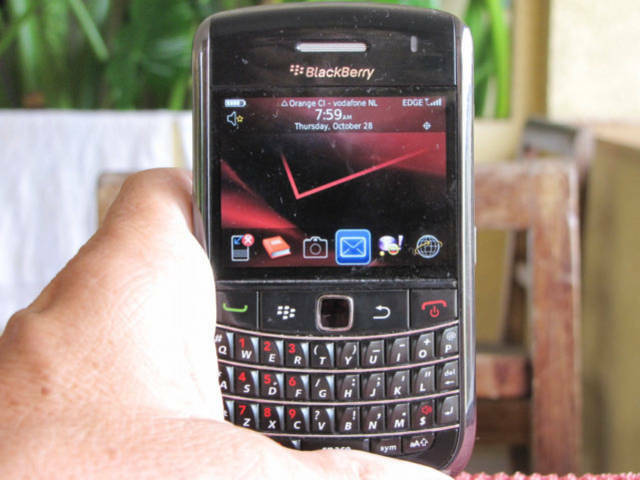 I am using a BlackBerry Bold with Global Internet access by Verizon Wireless here in Ivory Coast. This Internet connection it allows me to travel to about 220 countries and I never need to talk with a telephone company. The connections are almost automatic, but not completely, there can be problems as you change internet access partners of Verizon. There are these strange times, when you try to click on a link and nothing works, a page tries to load, but it does not load, maybe you can check and read your e-mail, however you can not open a link. Here is a list of things to try. Clean all temps with cleaner. Turn Mobile Network off and turn back on. Pull the battery and reset the smartphone. Change providers, maybe the primary is down. Turn off and turn on, it is best if you leave the phone off while not using. Charge the Battery, a low battery and there is no connection. Try a different page, maybe the page is the problem. Download this Video because there are two assumptions that are nasty, one is that you will always have internet access while you are using the BlackBerry, and the other is there will be people around using the BlackBerry to help.